Celebrating 100 Years: A Look Back in Our Club’s History: Happy Birthday to Us! 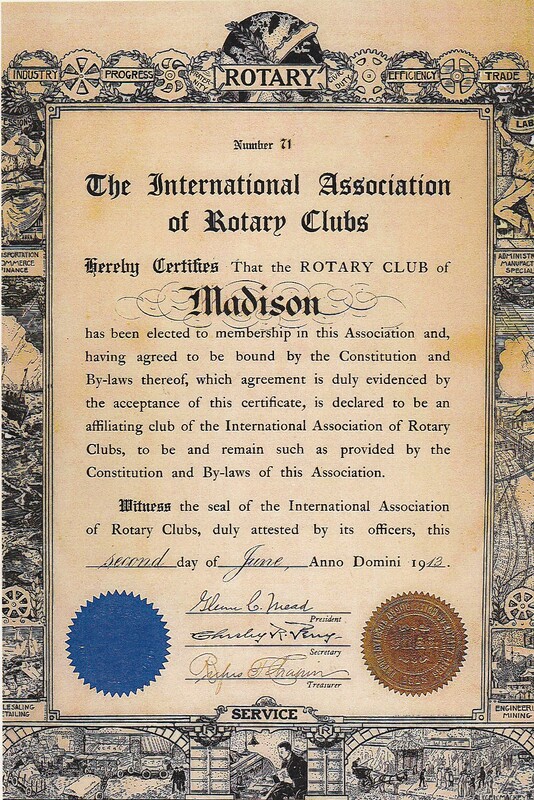 These days 100 years ago were momentous for the Rotary Club of Madison. As you all know, the first meeting to discuss the possibility of forming a Rotary Club here was held on March 13, when Bob Nickles invited three fellow businessmen to have lunch at the Elk’s Club. In addition to Nickles, those in attendance were John C. McKenna, Art Schulkamp and C. R. (Rex) Welton. 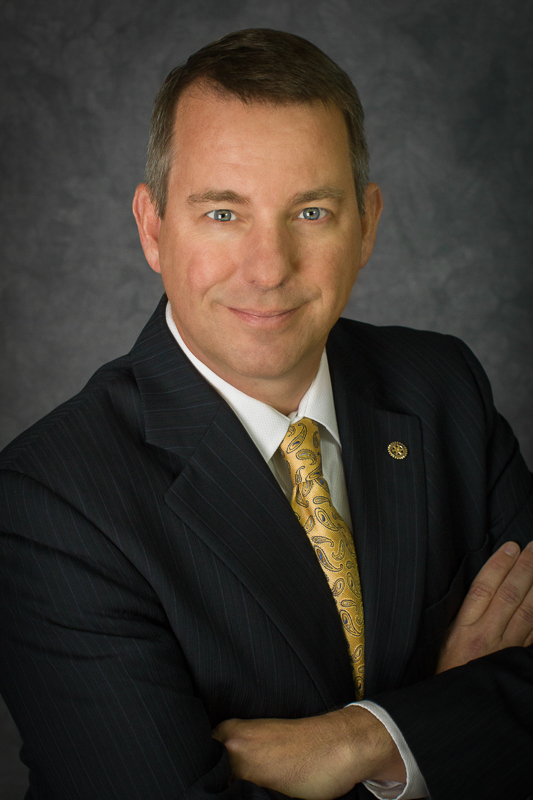 Typically for this Club, although the Club had voted unanimously on April 3 to affiliate with the IARC, there seems to have been some ambivalence about a relationship with the greater Rotary organization. Welton told Perry of these doubts: “Many of the members, in fact most of them, have somewhat hazy ideas of what the Rotary Clubs are really doing and of the lines along which they are working.” Perry would have liked to have sent more explanatory literature to the Madison club, but he explained that “As the whole Rotary movement is in a process of evolution–not only as to its philosophy but as to its literature, we are not able to send out just the printed matter we should like you to have.” Instead, Perry appeared personally before the Club on April 17. Finally, on May 16, the Rotary Club of Madison formally applied for affiliation. On June 10, Perry wrote to the Madison club that “We are pleased to advise you that your application for membership in the International Association has met with the approval of the Executive Committee of the Board of Directors by whose vote [on June 2, 1913] the Rotary Club of Madison has been made an affiliating Rotary Club.” Perry enclosed with the letter The Charter, making Madison, with thirty-three members, the seventy-first Rotary Club in the world. Rotary Holiday Spirit Spread throughout our Community! During the month of December 2012, many of our fellow Rotarians took time to make someone’s Holiday just a little bit better. There were a number of opportunities to provide service, and we caught a number of them in action. Some members rang Bells to raise funds for the Salvation Army. 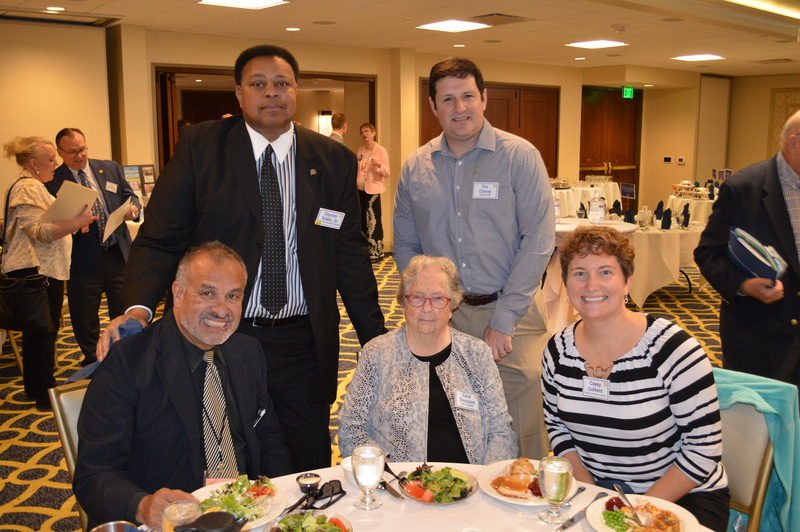 Pictured above from left: Donna Beestman, Ellie Schatz, Christine Beatty, Joe Silverberg and Nan Zimdars. Others chose to sort donated food with the Share Your Holidays Food Campaign for Second Harvest Foodbank. We also distributed toys at the Empty Stocking Club Toy Depot at the Alliant Energy Center, where over 11,000 children in our community received a gift. Pictured above from left: Lew Harned and Tom Lucas. And our Annual Holiday Giving Tree was able to provide 60 gifts to children at local organizations. And Santa Jim Ruhly and Elves Cheryl DeMars and Ted Waldbillig visited and shared a meal at The Road Home, an organization dedicated to helping families with children that are homeless. Our club has received thank you notes from children at The Road Home shelter, and we are sharing a few here so you know the children appreciated the gifts. Thanks to everyone who volunteered as well as the Community Projects Committee (and our Rotary office staff) who helped organize these activities! These are just a few more examples of how our Club and its members provide direct Community Service to those who could use a little help. As part of our celebration to mark the 100th anniversary of the founding of the Rotary Club of Madison, Jerry Thain and Rich Leffler are publishing original documents from the Club’s archives and other sources. We hope that these documents will recall for you the rich history of the Club and the times during this momentous century. The Rotary Club of Madison has had many famous people speak to it over the years. Possibly the most surprising name among the list of speakers is that of Alabama Governor George Wallace, whose February 1964 talk was an attack on the pending Civil Rights Bill that was enacted by Congress later that year. Since it was almost universally thought that some version of the civil rights bill that had been strongly promoted by President Lyndon Johnson was certain to be passed, political observers believed that Wallace’s purpose in speaking against it around the nation was not so much to block enactment of the bill as to start promoting himself as a future candidate for President. That campaign, of course, was ended when he was seriously wounded by a would-be assassain’s bullet in 1968. I trust it goes without saying that this post is in no way an endorsement of the arguments by Wallace but simply the citing of a notable moment in our Club’s history. The Wisconsin State Journal reported picketing took place outside the meeting and there was a report of a supposed assassination plot as well. As most know, Wallace later recanted many of his earlier views on civil rights and ran for Governor on a different platform. The October 3, 1939, Rotary News summarized remarks made to the Club by Henry Noll, a native of Germany who had been a Madison newspaperman for 36 years, about getting back to the United States after being in Germany in the summer of 1939 and in Vienna when World War II began. He also noted his personal assessment of the political climate in Germany just prior to the war. The Rotary News caption “Interesting Experience” seems quite the understatement. About an even dozen Rotarians and guests (the numbers varied a little throughout the day) headed for Parfrey’s Glen near Devil’s Lake State Park on Saturday July 14. The weather grew progressively warmer and more humid as we wound our way up hill and down dale on the Ice Age Trail that leads to Parfrey’s Glen. The trail was narrow and rutted, filled with large and small stones and exposed roots that kept everyone looking down at the path to avoid tripping. “It’s a trippy path,” a complete stranger called out as some of us neared the end of the long route before the somewhat-paved shorter path leading to Parfrey’s Glen itself. We retired for lunch at the Blue Spoon Café in nearby Prairie du Sac, overlooking the Wisconsin River. The Blue Spoon advertises “food with personality” and it lived up to its description as our tired crew of ten enjoyed looking out at the river, having some prolonged conversations, and being, at last, not in the sun, on our feet, or dodging runners.